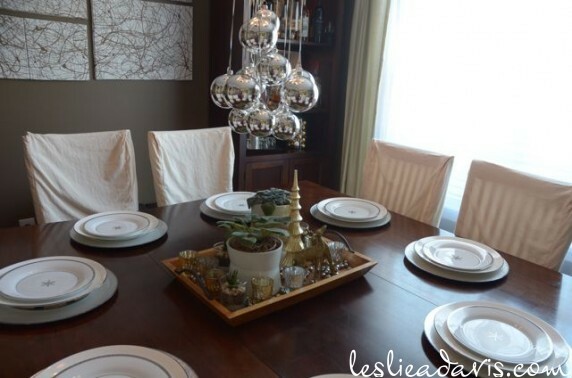 A Silver and Gold Tablescape – The silver glass chargers came from Goodwill as well as the brass deer. The little gold glass tree came from Michaels. The silver and gold mercury glass votive holders came from Target as well as the snowflake salad plates. 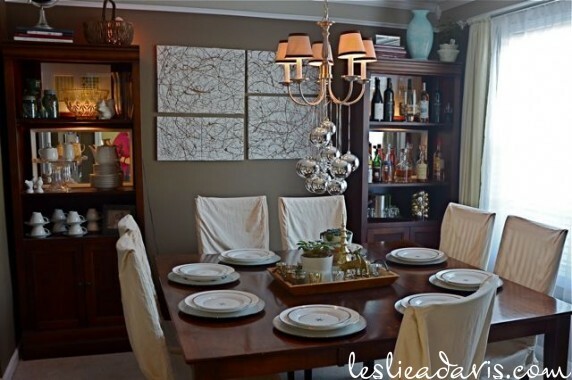 I hung shiny silver ornaments from the chandelier to add height to the center of the table. I kept the rustic tray from my fall decorating for the Christmas centerpiece. It makes it easy to move the decorations to make room for plates of food. 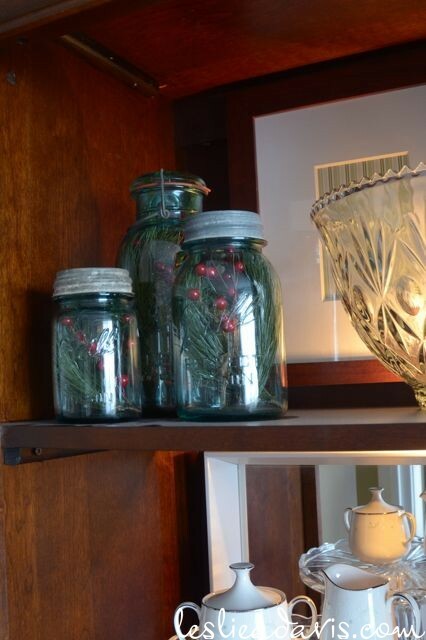 I added some faux greenery and red berries to the blue Bell jars on the bookshelf. On the opposite bookcase, I place more of the shiny silver ornaments as well as some small gold ornaments under a cloche. 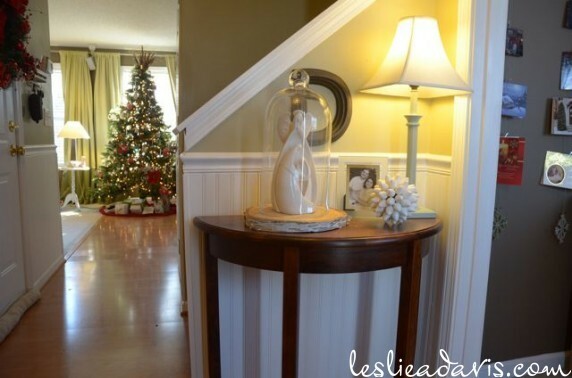 In the foyer, I kept the birch slab from fall decorating and placed my favorite nativity under the large cloche. The lamp is new this year and I am enjoying the added light. The Lettered Cottage is have a link-up party to show off Tablescapes for Christmas. I am participating by including a link to my new section of pages that chronicle how I have decorated different areas of our home over the years. In the spirit of true procrastination, I have only updated the Dining Table and Foyer page with photos from 2011. This entry was posted in Holidays on December 5, 2011 by Leslie.